A home purchase is the biggest investment the average consumer will make in their lifetime. Many go into the process unprepared, and it costs them in higher interest rates and other miscellaneous expenses. With mortgage rates changing every day and every company offering a different price for mortgage products and services, one must shop around and do their research. With that being said, here is a guide for a person looking to save money on their mortgage. Ideally, a potential buyer should start the process well before buying their house. In fact, one should start doing a few things about a year in advance so they can make sure they do not forget anything. Without this, one can see the process delayed for months as they may have to clean up their credit score, fix any other issues or pay down old debts. To get the most out of the experience and avoid missing anything, a buyer should use an Excel sheet or a simple piece of paper where they can note all the information to the house and their income. Most consumers like to save for a down payment as it will make it easier to negotiate and show the seller and bank that they they are serious and want to spend money. Now, in the past, people would try to save 20 percent of the purchasing price as a way to avoid private mortgage insurance. This is not practical for everyone especially in areas of the world where houses cost a lot of money. However, when saving up for a down payment, one should try to offer, at minimum, a five percent down payment. This will show the bank that the buyer wants the house and has the necessary financial resources. Now, some buyers, without knowing their credit score, walk into a bank and ask for a home loan. Some people can get away with this provided they have perfect credit. This is a rarity as many people have a sub-standard credit score caused by late payments, too much debt or incorrect items on the report. To prepare for the borrowing process, one should check their credit score, ideally, one year before buying a house. While this might seem like overkill, this will allow a person to clean up their score and fix any small errors on their report. A borrower must understand that the difference between a 650 and 750 credit score is huge, and it will have a huge effect on the interest rate the borrower pays. Furthermore, with a high score, one can walk into a bank or lending institution and command respect from bank employee's. On the other hand, when going to the bank with a 650 credit score, one will struggle to convince the loan officer that they are a good borrower. When buying a home, many feel that they will only have one more expense to deal with, and they will have no problem paying off the debt. Any first year homeowner would laugh at this as a new homeowner will have to spend plenty of cash cleaning up the house, making insurance payments and dealing with the unexpected. 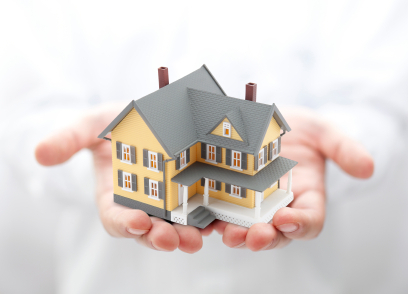 To avoid financial problems, one should pay off their small bills before taking on a mortgage. For example, one can pay down, or off, their car loans, credit cards or other personal loans. By removing a monthly payment from one's budget, a consumer can free up cash flow so they can make their mortgage payments with ease. In the past, many bought homes they could not afford and they lost their homes and suffered from financial ruin. Now, most banks are stringent and require a lot more information and paperwork to offer a loan. However, it is still up to the consumer to decide how much loan they can afford since they are the one making the payments. There is no set formula as everyone's financial situation is unique; some people will not have kids while others will have high car payments or student loans. One rule that many financial planners use is simple. A prospective homeowner should look for a loan that is two to three times his or her annual gross income. Again, this amount will vary as some people will have a lot of other debts while other people may have no other financial expenses. When looking at the situation, one should sit down with their financial planner or loan officer who can determine a good ratio. Ultimately, the decision is up to the consumer as he or she will need to make the payments for years. Remember, when looking at the monthly cost of the loan, one must consider all costs such as private mortgage insurance, HOA fees, property taxes and any other expenses. Often, a buyer will fall in love with one house or neighborhood, and they will waste their money on something they do not need. To find the best hour or area, a consumer should start looking at houses a couple of months before he or she wants to buy. When learning about houses and neighborhoods in advance, one can make a rational decision and avoid buying a house that does not fit their needs. Furthermore, after choosing a house, the buyer should negotiate and have a person inspect the house thoroughly. One must realize that they are in control and a buyer should try to negotiate and ask for extras from the seller. When hearing the term PMI, most people do not have a clue what this truly means. In reality, it is not hard to understand; a person who cannot make a 20 percent down payment must pay private mortgage insurance to the lender. This is protection for the bank since many people who put down a small down payment end up defaulting on their home. PMI is nothing to scoff at as it can cost a homeowner a couple hundred dollars a month on a 200,000 dollar loan. Unfortunately, without a large down payment, one will have a hard time escaping this cost. For this reason, a buyer who has nearly 20 percent saved should try to save a little more or find the extra cash to bump their down payment up and avoid PMI. Luckily, as a house value rises and a person pays down their mortgage, they can refinance and save plenty of cash as they can remove the PMI payments. A mortgage is for 15 or 30 years, but most people do not want to carry it this long. In the beginning, one is paying mostly interest as that is the nature of a long-term loan. However, after a few years, a consumer will see their balance go down, even if it is marginal. Unless a buyer does not see their financial outlook get better as they age, they should develop a payoff plan. As mentioned, the first few years of a loan, a borrower will pay a lot of interest fees. To avoid this, a consumer must pay more than the minimum on his or her loan. When chipping away at 50 to 100 dollars a month on the principal, one can knock off a couple of years at the end of the loan. This is a great investment to make as one will enjoy a return with no risk. Ideally, a consumer should add any extra money into this such as unexpected bonuses or other cash. Not only that, when getting a raise or a second income, one should put their money into paying off their mortgage. The trick here is simple as a person should pay down their principal before caving in and spending the money on something they do not need. When making two mortgage payments a month, one can, effectively, pay off their mortgage six to eight years early. Most banks offer this program and will gladly accept biweekly payments as they get their money early. Since most people receive a paycheck every two weeks, this is an easy option one should consider as it can, without work, help a person eliminate years off their mortgage. Essentially, a borrower using this option will pay down their principal faster as they will have two more payments going towards the principal each year. In reality, a smart consumer who has a stable and reliable income should use this option as it is an easy way to cut down the principal without effort. Inevitably, most working age people will see their incomes rise over time. Now, some people, when getting a rise, will up their lifestyle and buy a new car or take on more loans. Instead, when looking to pay off the mortgage early, a person should put their new income towards paying off the mortgage earlier. This can help a person knock years off their loan since a person can devote a large amount of their paycheck towards the mortgage. Remember, most people will make a lot more money in 15 years, and they should take advantage of this by throwing more money at their mortgage. While it is beneficial to pay off a loan early, one should exercise caution and not put themselves out on the street to save a few bucks. To avoid issues after a job loss or financial problem, one should set up an emergency fund with six months living expenses, including mortgage payments and other loan costs. While this will slow down one's payoff plan, it will enable a person to avoid a catastrophe should they experience a job loss or serious sickness in the family. One must remember,it is smart to have a lot of cash saved up in case of emergency. When understanding these tricks, one can save money on their mortgage and pay it off years in advance. Fortunately, none of these methods will cost a borrower a lot of money as they are easy to follow. One must realize that a home purchase is a huge investment and it is vital the new buyer take their time in choosing the right house. 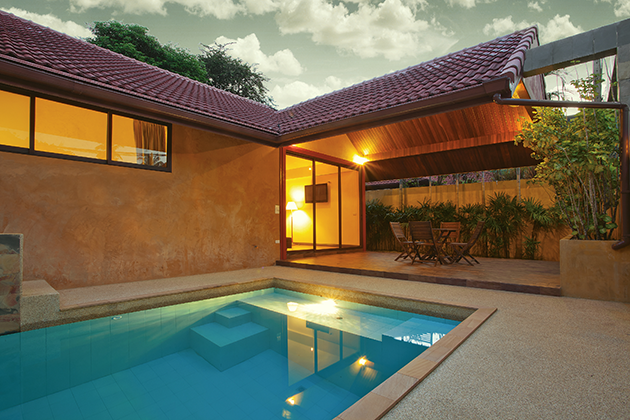 Without a doubt, when taking the time to look for the perfect home, one will enjoy their investment for a long time.